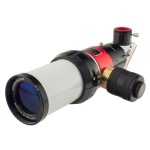 These telescopes with their 60 mm aperture and 500 mm focal length deliver high resolution views for observing and imaging the sun. 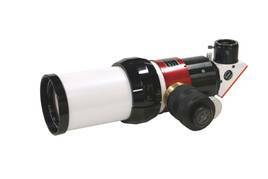 The sensitive Etalon systems are well protected in the telescope tube and provide a bandwidth of <0.75 Angstrom. An integrated and optically matched lens set fully corrects on-axis coma, astigmatism and de-centering aberrations and provides a full spherically corrected flat-field view. 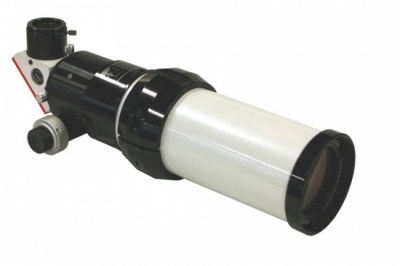 Lunt offer these telescopes with their B600 or B1200 blocking filter. The larger B1200 blocking filter is the preferred choice for imaging because it displays less vignetting. 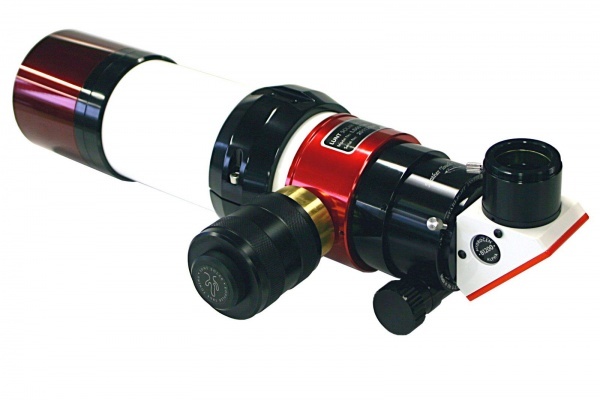 Normally these Lunt 60mm telescopes are equipped with a 2” Crayford focuser with 10:1 reduction but are are also available with the legendary Starlight Instruments Feather-Touch focuser - one of the best focuser in the world! With a weight of approximately 3 kg the telescopes can easily be carried by most photo tripods, the clamshell includes a 1/4”-20 thread for mounting on such tripods. All versions include a robust aluminum-case.